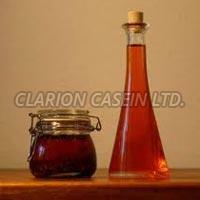 The company is a highly acclaimed Manufacturer, Exporter & Supplier of Capsicum Oleoresin. Capsicum Oleoresin is obtained from the natural chili with the help of physical extraction and purification processes. The Capsicum Oleoresin is a kind of concentrated hot food seasoning with high spicy content and pure flavor. The Capsicum Oleoresin is widely used in hot food and seasonings. Storage : Sealed completely to avoid in the light in the low temperature, dry environment. Donâ��t store and transport with harmful material.